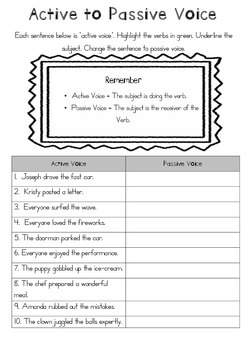 This is a set of charts to display for children to understand "Active" and "Passive "voice in sentence structure. 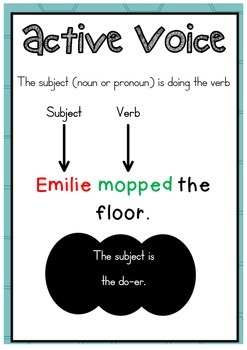 The worksheets enable Children practise finding the verb and subject and determine which voice is being used. 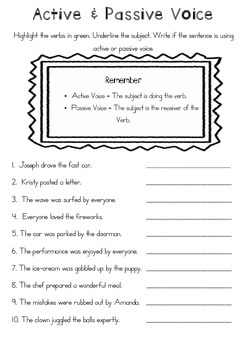 3 worksheets and answers - label as active or passive, change from active to passive and then passive to active. 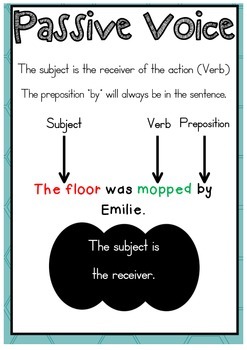 The sample is a basic screen shot of the document.